The certification process includes following major steps. For further details kindly see procedure for certification system in the download section. KBS reviews the application to check if the requisite services can be provided and accordingly prepares the quotation/ estimate and the contract (Certification audit contract). Initial certification includes two stages assessment. Recertification includes only one stage. The assessment is carried out by the team at the sites against the applicable criteria. The report is provided to client identifying the compliancelevel includingany nonconformities. Client submits the implemented or proposed action based on the classification of non-conformity. KBS reviews the actions. Surveillance assessment are held as per the periodicity defined and agreed. First surveillance within 12 months from the date of the stage 2 audit. Certificate is maintained based on the outcome of the surveillance audit and compliance with the requirements. ISO 9001:2015 was published on 22nd September 2015. 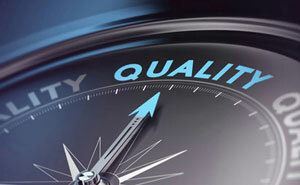 The standard sets out the criteria for a quality management certification. It can be used by any organization, large or small, regardless of its field of activity including manufacturing, services, institutions, health or any other sector. There are over one million organizations in over 171 countries certified to ISO 9001 quality Management systems. The standard is based on a number of quality management principles including a strong customer focus, the motivation and implication of top management, the process approach and continual improvement. Using ISO 9001:2015 helps ensure that customers get consistent, good quality products and services, which in turn brings many business benefits.Certification can be a useful tool to add credibility, by demonstrating that your product or service meets the expectations of your customers. For some industries, certification is a legal or contractual requirement. KBS has been a accreditted certification body for quality management systems based on ISO 9001 and has certified more than 5000 organisations worldwide including Delhi Metro, Indian Railways, Indian Oil, ONGC etc. The auditors have proven competence in the field and work with all sincerity and due professionalism. into business management, providing a competitive and financial advantage through improved efficiencies and reduced costs, encouraging better environmental performance of suppliers by integrating them into the organization’s business systems. KBS has been a accreditted certification body for environment management system based on ISO 14001 and has certified a number of big and small organisations worldwide including Delhi Metro, Indian Railways, Indian Oil etc. The auditors have proven competence in the field and work with all sincerity and due professionalism. Over 6300 people die each day from work-related accidents or diseases - that’s nearly 2.3million every year worldwide.The burden of occupational injuries and diseases is significant, both for employers and the wider economy, resulting in losses from early retirements, staff absence and rising insurance premiums. OHSAS 18001 is the international Occupation Health and Safety Assessment Series specification that aims to control the potential hazards within an organization. 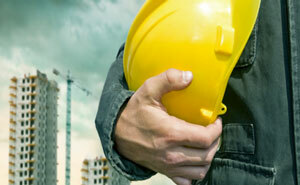 It was formulated to help organizations for establishing occupational health and safety policies and objectives. A certified Occupational Health and Safety Management System demonstrates the conscious determination of the organization to safeguard the employees and the environment from harmful incidents. Implementation of OHSAS helps in augmenting a healthy and safe working environment,gaining competitive edge in the global market, promoting trust to the customers on compliance with regulatory requirements, reduction in the material loss caused by accidents and production interruption, reduction in the insurance costs as well as costs due to absence of employees. KBS has been a accreditted certification body for Occupational Helath and Safety assurance system based on OHSAS 18001 and has certified a number of big and small organisations worldwide including Delhi Metro, Indian Railways, Indian Oil etc. The auditors have proven competence in the field and work with all sincerity and due professionalism. The consequences of unsafe food can be serious and ISO’s food safety management standards help organizations identify and control food safety hazards. As many of today's food products repeatedly cross national boundaries, International Standards are needed to ensure the safety of the global food supply chain.ISO 22000:2005 sets out the requirements for a food safety management system and can be certified to. It maps out what an organization needs to do to demonstrate its ability to control food safety hazards in order to ensure that food is safe. It can be used by any organization regardless of its size or position in the food chain. have proven core competence in the field and work with all sincerity and due professionalism. Using energy efficiently helps organizations save money as well as helping to conserve resources and tackle climate change. ISO 50001 supports organizations in all sectors to use energy more efficiently, through the development of an energy management system (EnMS).ISO 50001 is based on the management system model of continual improvement also used for other well-known standards such as ISO 9001 or ISO 14001. This makes it easier for organizations to integrate energy management into their overall efforts to improve quality and environmental management. Use of ISO 50001:2011 helps organizations in developing a policy for more efficient use of energy, fix targets and objectives to meet the policy, use data to better understand and make decisions about energy use, measure the results, review how well the policy works, and continually improve energy management. KBS has been in the filed of energy management systems based on ISO 50001, ISO 14064 and Clean Development Mechanism (CDM) since long and has succesfully assessed and certified a number of projects including overseas. This also include energy efficiency projects for buildings, lightings, waste heat recovery projects as well. Our auditors are highly qualified and expereince having core competence in the field and work with all sincerity and due professionalism.